Open Our Door to the Home of Your Dreams! Schmidt Bros. 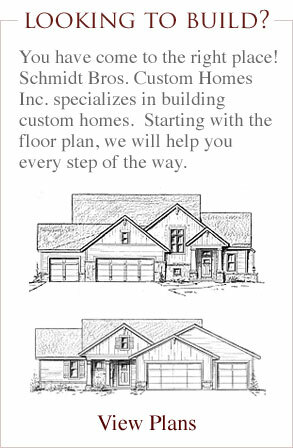 Custom Homes Inc. is a Northeast Wisconsin custom home builder with an established reputation for building quality custom homes since 1994. Our office is conveniently located on the north side of Appleton close to Highway 41. 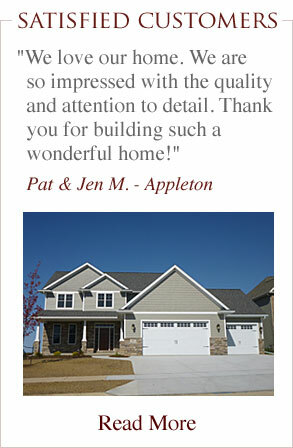 We build homes in Appleton, Green Bay, Sherwood, Greenville, Neenah, Oshkosh and throughout the Fox Valley area. November 5 Thank you for voting Schmidt Bros. Custom Homes, Inc. Best Residential Builder!